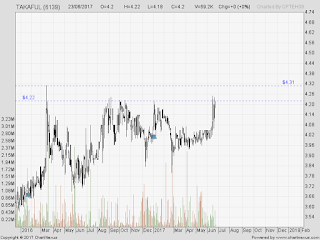 Takaful : To breakout of RM4.32 high ... 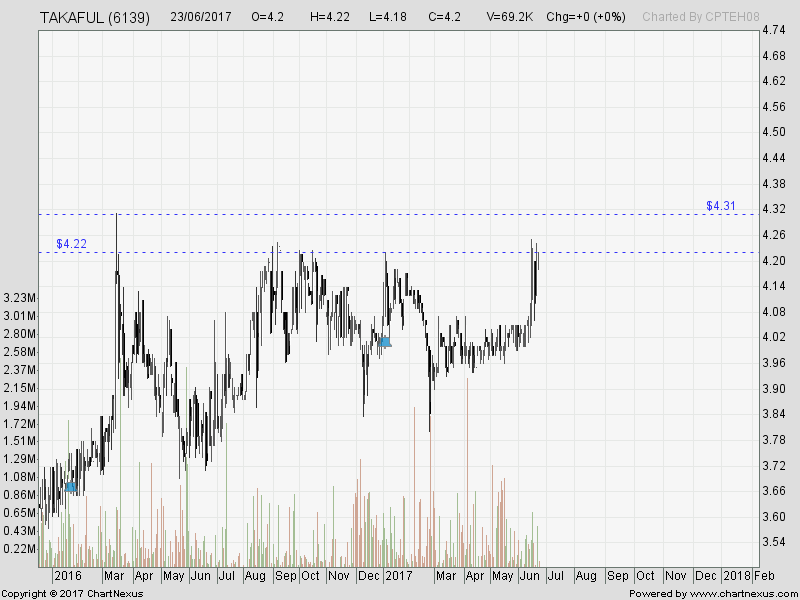 I will take if it breaks RM4.25 successfully ... and will be implementing 10-day low exit rule. I will write about the 10-day exit rule later ... put it under Learning Corner. Yes, I had an e-meeting (11pm) lat night to explain the turtle-trading 10-day low rule. Will have another for those missed.